Almost every car insurance company now has a basic mobile app that lets customers handle simple tasks — think paying bills, filing claims and chatting with customer service. But for some insurers (and their customers), the mobile possibilities don’t stop there. Drivers might be surprised at just how innovative some companies have become in building their ideal customer experience. Here’s a look at some of the coolest mobile car insurance apps available. Unless otherwise stated, all apps are available for both iOS and Android platforms. Esurance Fuelcaster: Esurance’s Fuelcaster tool predicts gas prices to help drivers decide when to fill up. Enter your ZIP code, and Fuelcaster will recommend either you fill up now because prices are predicted to rise soon or wait to fill up because tomorrow’s prices are expected to be lower than today’s. It also displays a range of gas prices in your area so you can see which stations are cheapest. Free for Esurance customers and non-customers. Allstate Drivewise: The Drivewise mobile app tracks driving behavior and rewards you for being responsible behind the wheel; it even offers tips on how you can improve. Allstate customers can earn discounts or cash back on their premiums. But Drivewise is also available to those not insured by Allstate: These users can earn reward points and redeem them for merchandise, gift cards and other items. Metromile street sweeping alert: This is a welcome feature for big-city dwellers who know the panic of forgetting to move their car for that dreaded street cleaning. Part of Metromile’s smart driving app, it uses internal city information to see where sweeping is scheduled. If your ride is at risk of being ticketed, you’ll get an alert 12 hours in advance. Note that you must have one of Metromile’s connected car devices to use this feature (either the Metromile Pulse for insurance customers or the free Metromile Tag for non-customers) and live in Chicago, Los Angeles, San Francisco or San Diego. State Farm Driver Feedback: State Farm’s tool distinguishes itself from other safe-driving car insurance mobile apps by targeting three specific problem areas: accelerating, decelerating and swerving. You don’t need any plug-ins to use this app. Simply lay your phone flat on a secure spot or set it in your cupholder, and the app tracks and scores you in each category after trips, plus offers pointers to improve. Though participation doesn’t trigger a discount (as with the Drivewise app), Driver Feedback can provide valuable peace of mind that you’re extending the life of your car and tires, and practicing safer techniques. This app is available to anyone, not just drivers insured by State Farm. Allstate Motor Club: This is a reassuring tool to have in your pocket if you like having assistance in reach, even in remote locations. If you become stranded, the Motor Club app uses your phone’s GPS to locate your vehicle and send help. You can select the issue you need help with, such as a battery jump or fuel delivery, from a menu and track the estimated time of arrival of responders. It’s available only to Allstate customers, and sign-up isn’t free (the cheapest option is $52 for the first year, according to Allstate’s site). Esurance DriveSafe: Aimed at parents with teen drivers, DriveSafe lets policyholders track their kids’ behaviors via a telematics plug-in so they know what’s going on behind the wheel. Participants receive step-by-step instructions on setting up their device and connecting it via bluetooth to their phones. From there, parents can customize alerts whenever their teens make certain mistakes, such as speeding or driving after curfew. While the car’s in motion, teens accessing their iPhones will even see a banner reminding them not to check their devices. (The app is also available for Android, but without that warning feature.) A complete summary of teens’ driving is uploaded online for parents to review. This app is free for Esurance policyholders and is available wherever it offers car insurance, except Massachusetts and Pennsylvania. Metromile trip optimization feature: Also part of the pay-per-mile insurer’s broader smart driving app, the trip optimization feature tracks where your speed tends to vary and how long your trips take. Over time, commuters can spot trends that are causing delays and, ideally, make changes for quicker routes. It’s available to Metromile customers and non-customers. State Farm CarCapture: For those researching a new car, the CarCapture app can help cut down on legwork. If you see a car you like, take a picture of the back to reveal the exact make and model, the market value (as determined by Edmunds), and local dealerships that carry it. The app is free and available to anyone, not just those insured with State Farm. Esurance video appraisal: Esurance policyholders can use video appraisal to chat in real time with appraisers after filing a claim. Rather than scheduling an in-person meeting to assess car damage, you can have the initial inspection over your smartphone to allow for more appointment flexibility. The appraiser can give you a repair estimate and in some cases even hand out payment that same day. Remember, while cool car insurance apps can help point you toward an insurer, it’s still in your best interest to shop around. 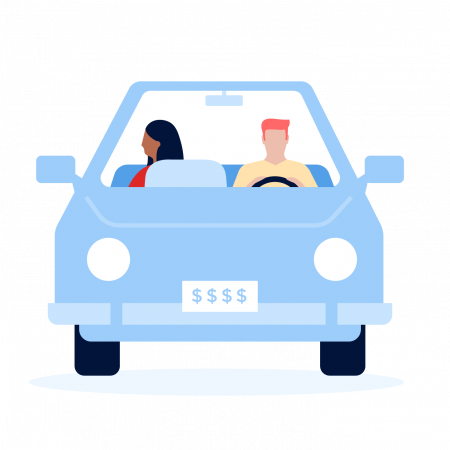 Try NerdWallet’s car insurance comparison tool to narrow down the best estimates and possibly save hundreds on your policy.